Do you know how safe your favourite fruits and veggies are? 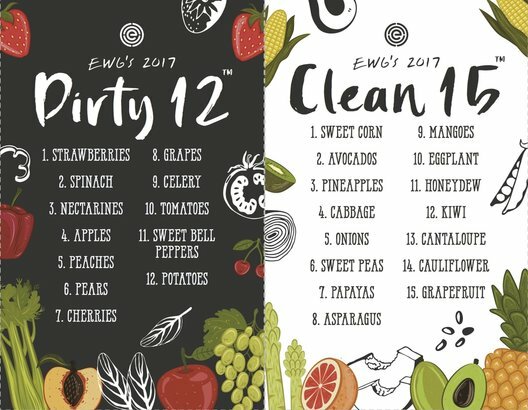 Environmental Working Group (EWG) releases its annual lists of fruits and vegetables that contain the most pesticide residues (the Dirty Dozen) and the least pesticide residues (the Clean 15). Spend your money wisely, buy organic when consuming fruits and vegetables on the Dirty Dozen list.